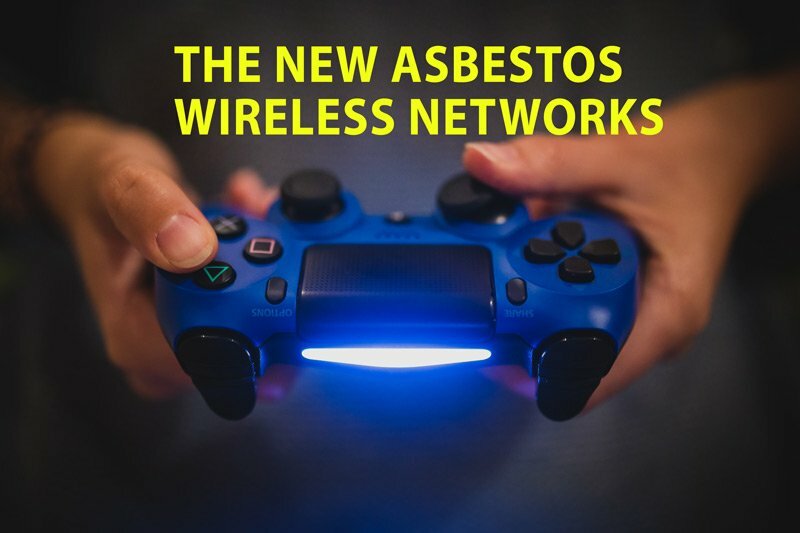 WiFi is it the next asbestos? WiFi, it’s everywhere. The chances of it going away are, well, slim and none. And that fact is causing major concern for the health industry and parents worldwide. Schools and cities are increasingly providing WiFi networks as a way to attract today’s connected student and prep them for tomorrow’s future. Less paper and books equals more tablets, laptops and digital learning. Truth be told, learning has become more fun and engaging than ever before. It is this battle that makes this such a controversial topic. Like any health risk, the effects are truly in the unknown area when it comes to new technologies and the lesson should be to look at other technologies and chemicals that we thought were great, but later found out to be very dangerous to human health. Asbestos, lead, DDT, benzene, DEET, and others just to name a few. WiFi operates in the same frequency range as microwaves and falls into the non-ionizing range of radiation. So, is it dangerous? Maybe. Unfortunately, isolating the health effects is nearly impossible. And taking it out of schools, will not eliminate a students exposure to it. As I write this from my desk in California, I can see more than 20 networks on my WiFi finder right now. True, taking them out of schools will lower the exposure, the real problem is the other 18 hours a day that students are exposed to cell phones, home wireless networks, bluetooth, electric power lines and the like. Learn more about the potential dangers of WiFi by watching the video below. Previous Survive an active shooter, life is not a game.